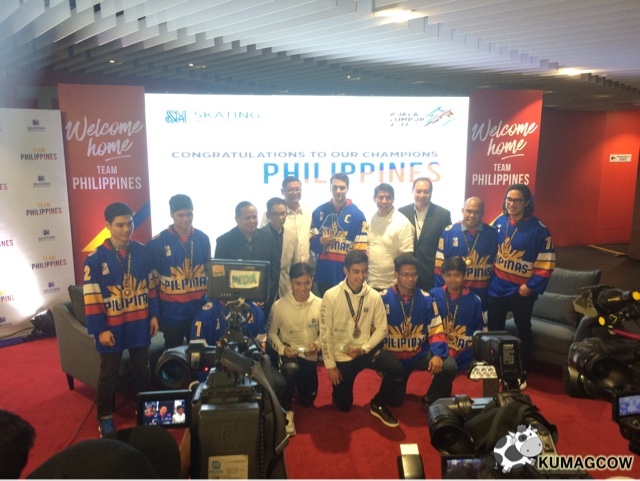 I have followed their quest during the Southeast Asian Games quite closely because I've met some of them during the press conference and send off party a couple of weeks ago. 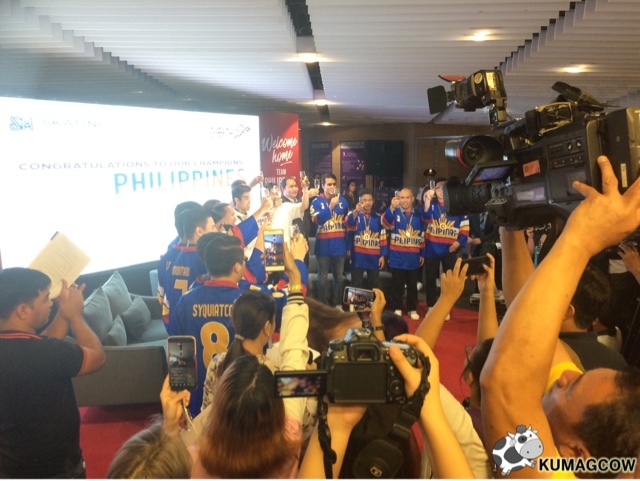 The Philippine Hockey team had me on the edge of my seat as they got so many issues that hindered them to be on top of their form, but in the end they did beat heavy favorite Thailand. 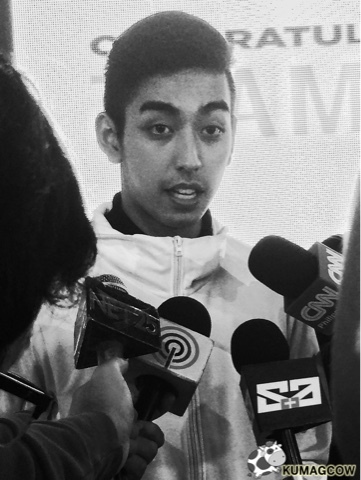 Then Olympian Michael Martinez got the Silver Medal, which still made us all proud of his accomplishments heading to the next Winter Olympics. Aside from that, Filipina Ice Princess Alisson Petricheto also snatched a Bronze medal, made us completely ballistic at the bleachers, even at home. These medal hauls just proved we have a bright future on ice games and we were there also to welcome them home in SM Mega Fashion Hall. 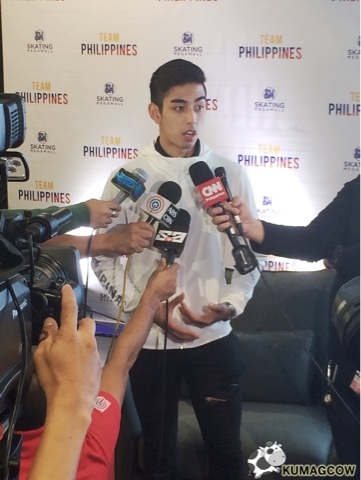 Michael Martinez says "I am pretty happy about the program that I did during the SEA Games and I have also seen people feel good about it as well, so no regrets. 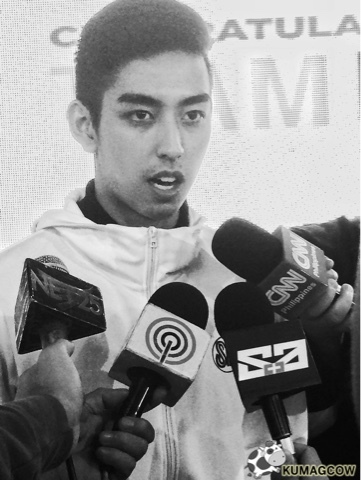 The next thing I'll be concentrating on is a podium finish during the Olympics and hopefully the SEA Games will be easy after that. 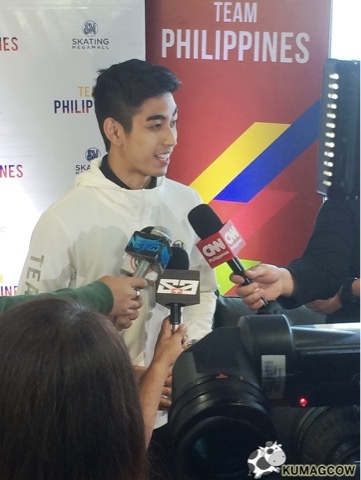 I also can't wait for the Philippines' hosting on 2019, that's where we're sure the medals will come in. I'll be flying to LA in the next couple of weeks so I can join in the next Olympic Qualifiers, hopefully win it as well. 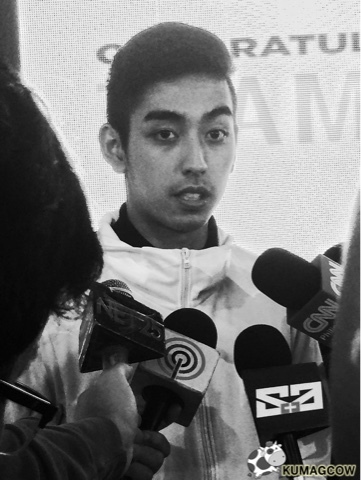 We have very difficult elements and choreography to perform and I'll try and make sure they'd be executed well." 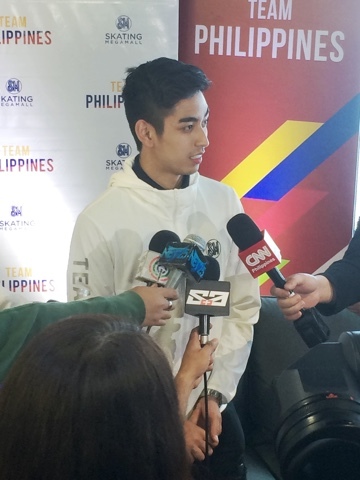 Mr Edgar Tejerero SM LEI's President adds "We all know how these athletes prepared for hours in order to get gold for ice hockey, and a silver and bronze for figure skating. 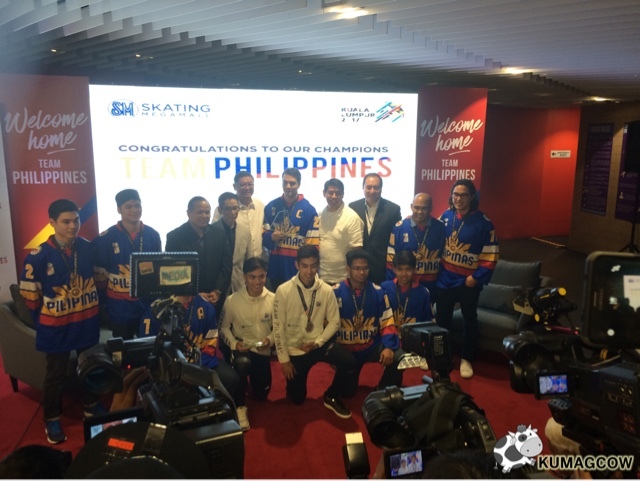 Mr. Sy dreamt of these to be the home of ice sports in the country, and now it's bearing fruit. Nobody believed a tropical country could produce athletes like these, your victory is not only ours but the whole country. Congratulations and welcome home!" Congratulations to all our Ice Athletes and cheers for more acheivements in the next coming years! You did a good job and continue to inspire more people with what you're doing. You are our champions! Thank you SM Lifestyle Entertainment Inc. for continuing to support them in and out of ice!